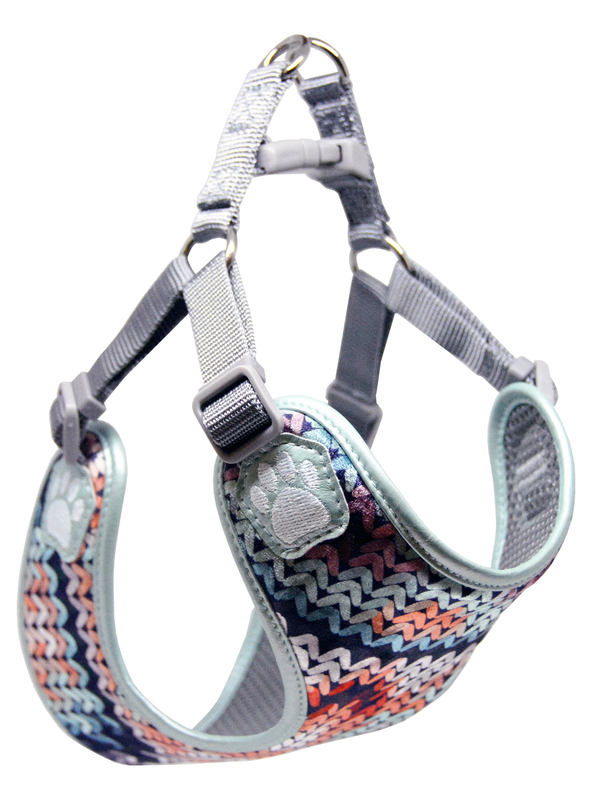 The Berlin Line is designed with pillows of comfort in its custom quilted fabric design that is softly cushioned for your pets to snuggle into. The metallic ribbing on the Café and Steel are majestic while the Rose gracefully exudes a softer and more feminine appeal. 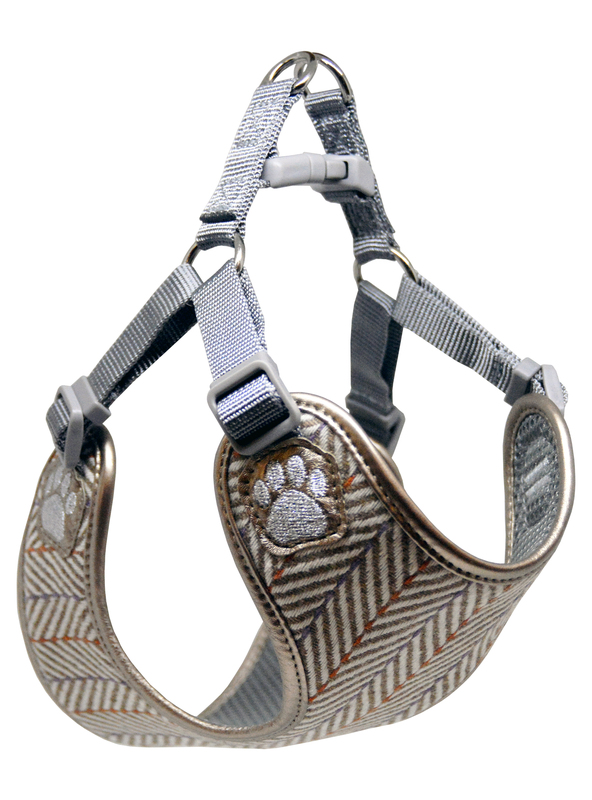 Accents of silver embroidery capture the lavish luxury showcasing a regal design. 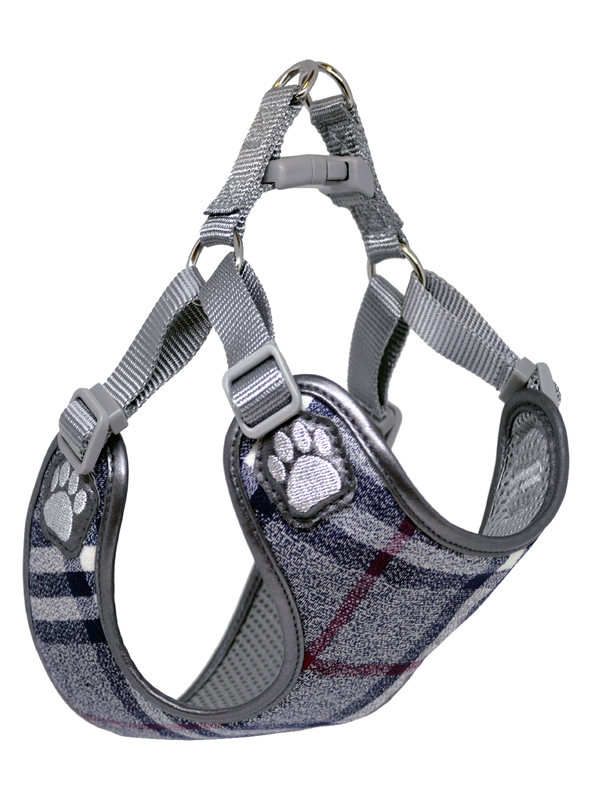 The London Line is composed of intercut weaves and setts designed to create fashionable prints that will compliment every beautiful breed. 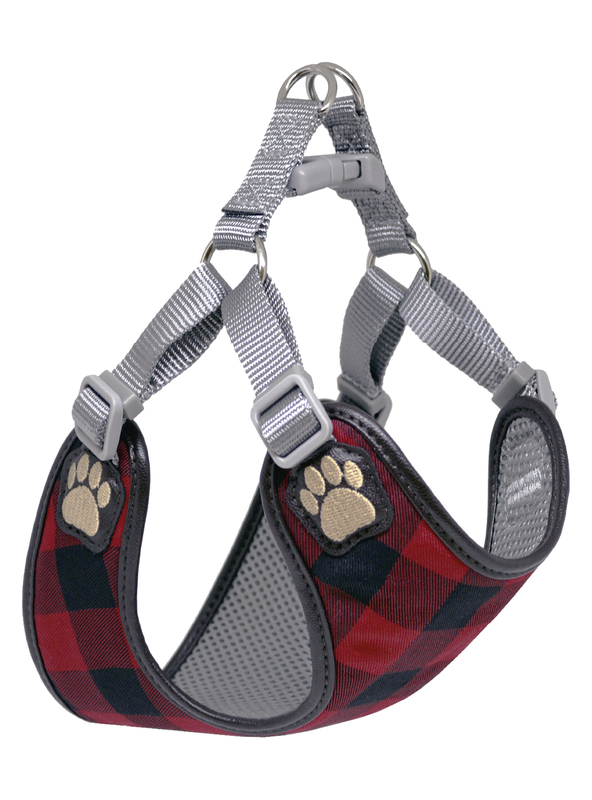 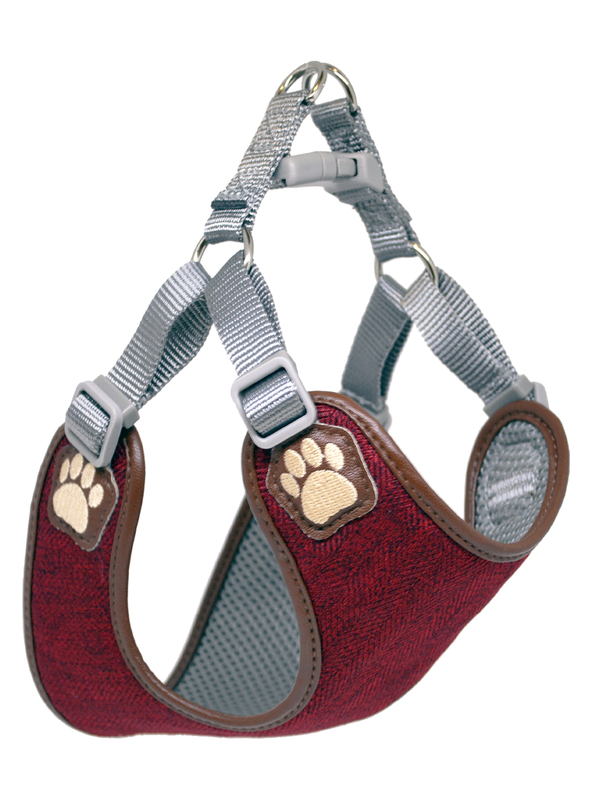 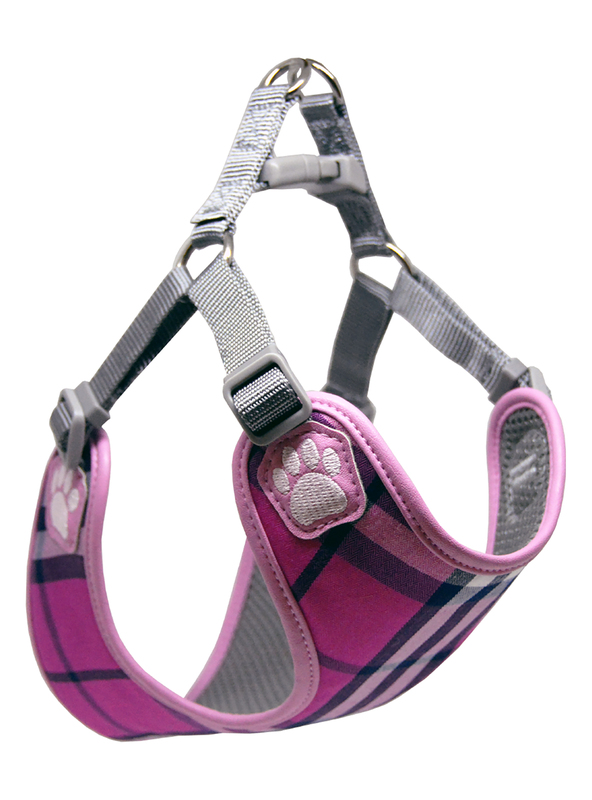 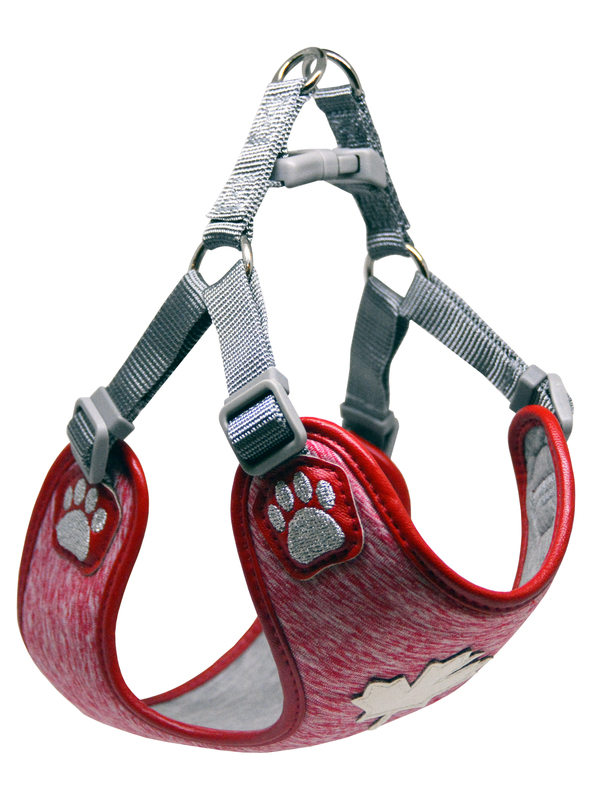 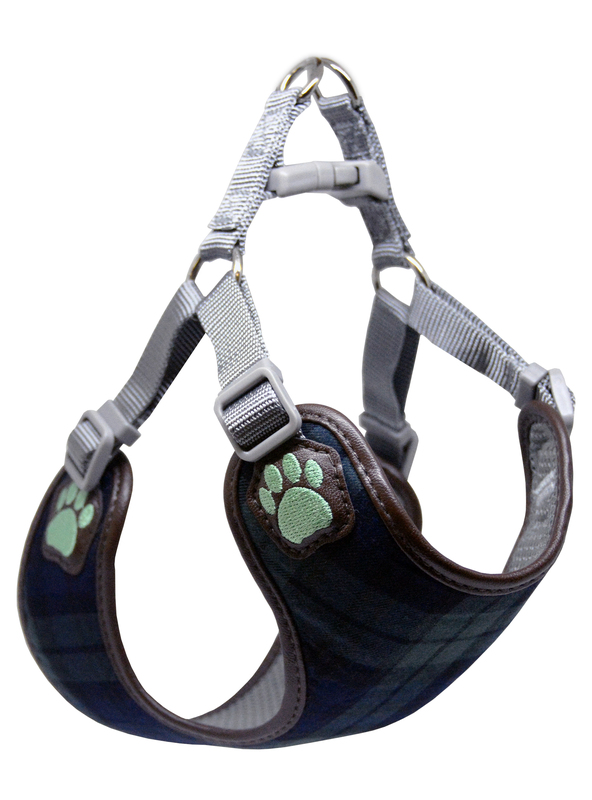 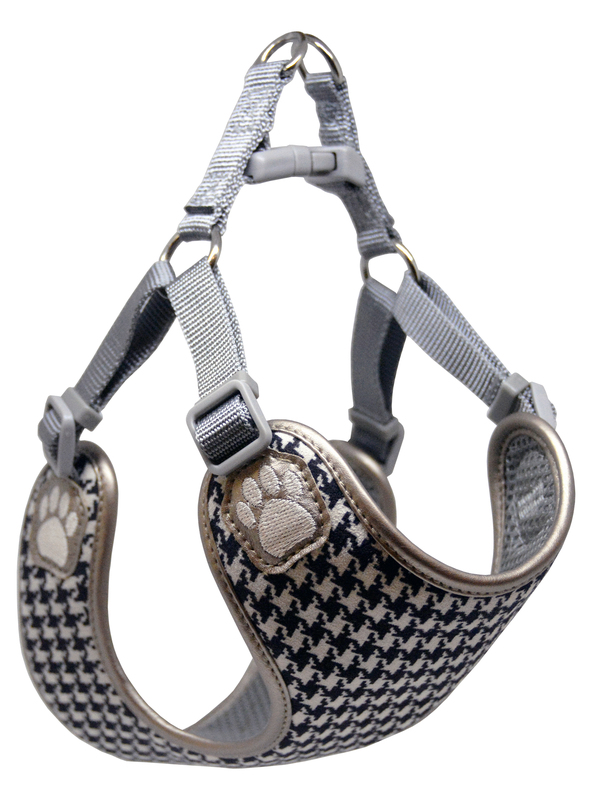 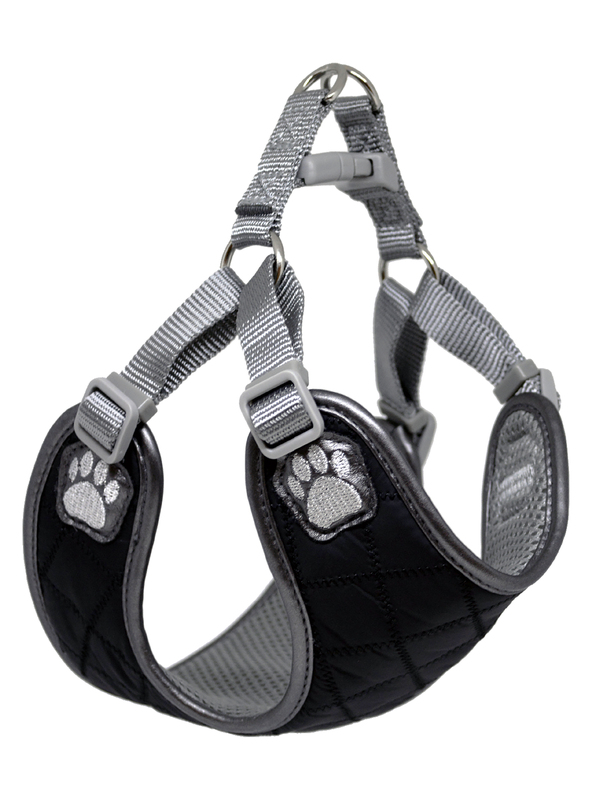 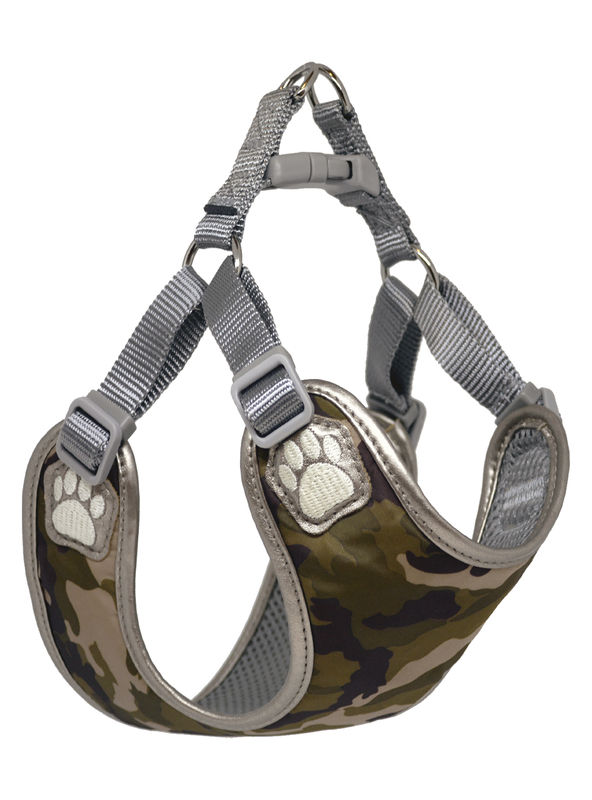 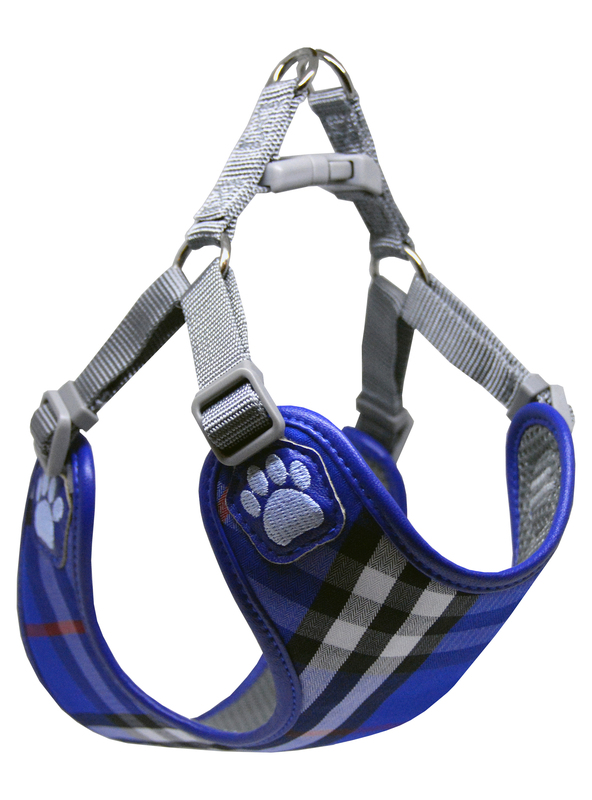 The different patterns from each of the Taupe, Auburn and Charcoal give a unique and exquisite appeal enhancing the look of the “everyday” dog harness. 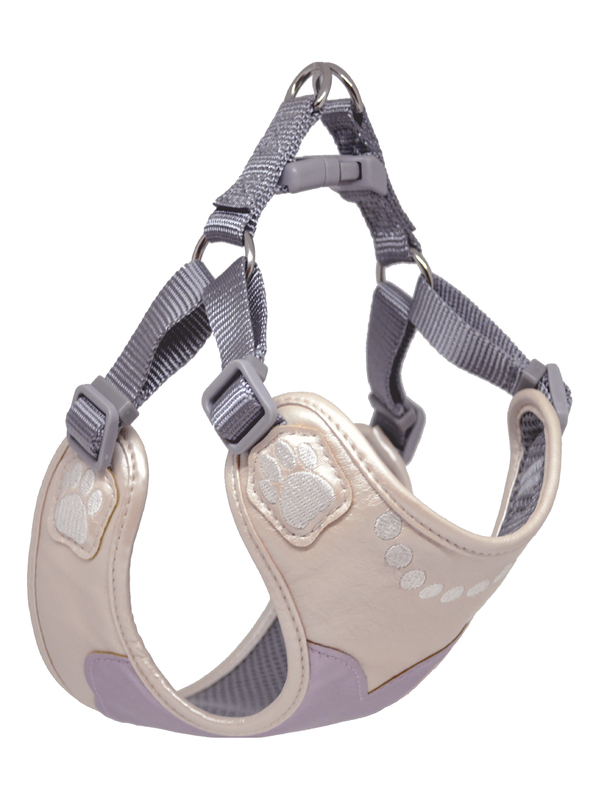 Pretty Paw’s design evolution is inspired from global trends that are fresh off the runway season. 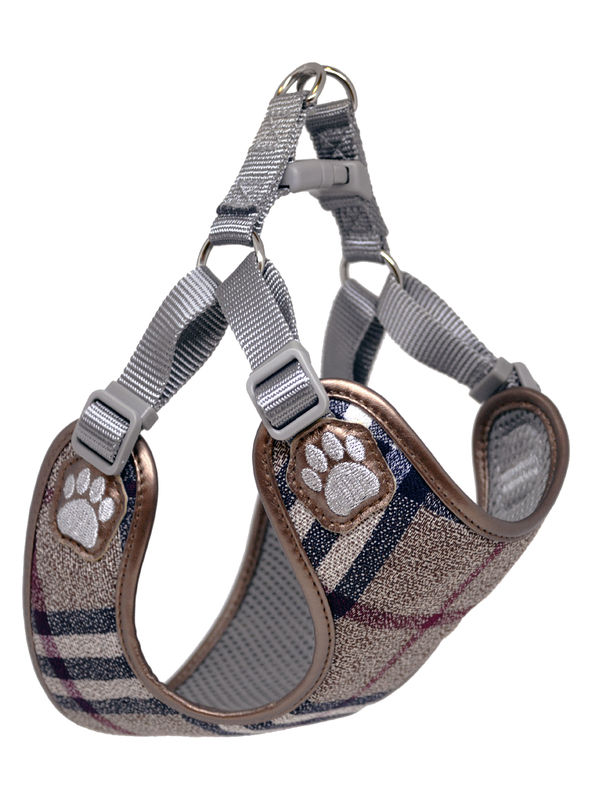 Textiles from all over the world tailor the contemporary line with the latest fabrics, which are implemented in every year’s ‘Fashion Couture Collection’. 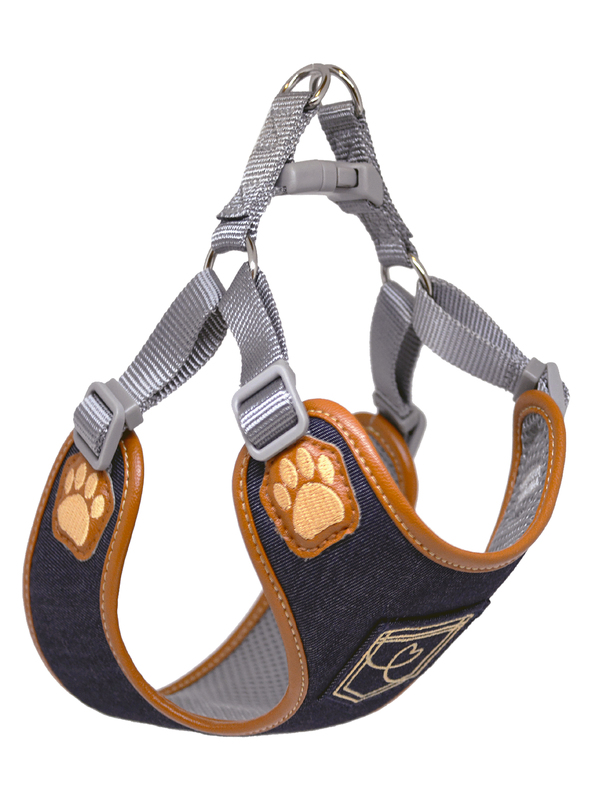 With the enhancement of innovative and dynamic engineering, the advanced compositions not only strengthen important key elements, but also elevate technical components expanding into a larger market catering to every unique canine and breed. 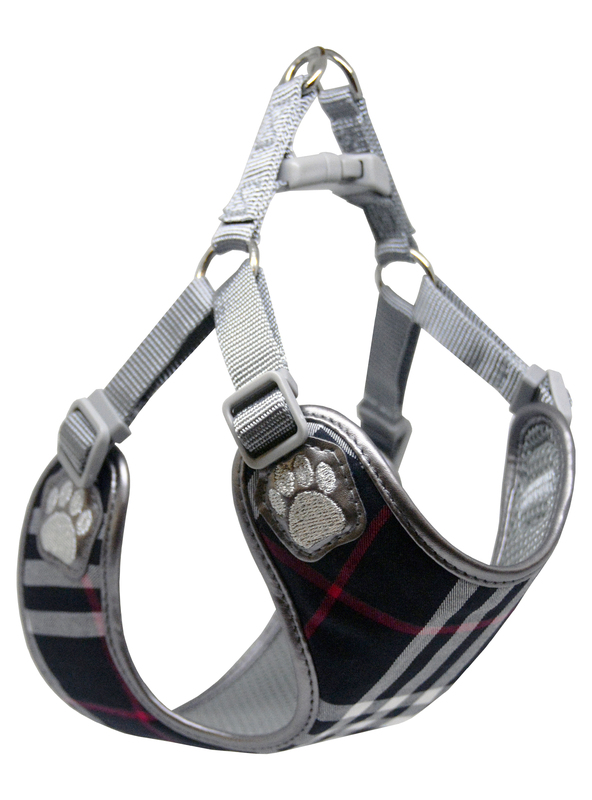 Pretty Paw always strives to consistently utilize natural materials that are animal friendly generating mass appeal within the Pet Fashion industry.